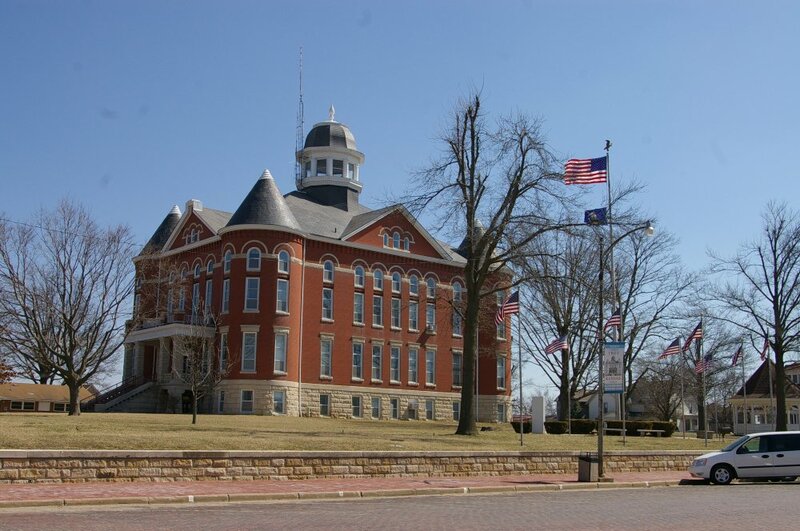 Doniphan County is named for Alexander W Doniphan, who was the commander of a regiment of cavalry during the Mexican War. 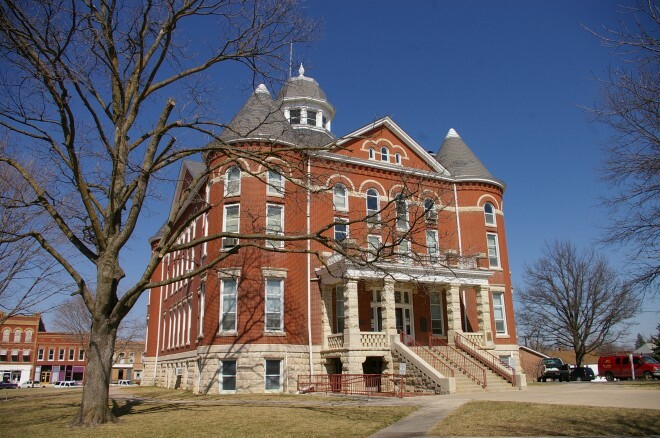 Description: The building faces south and is a three story red brick and limestone structure. 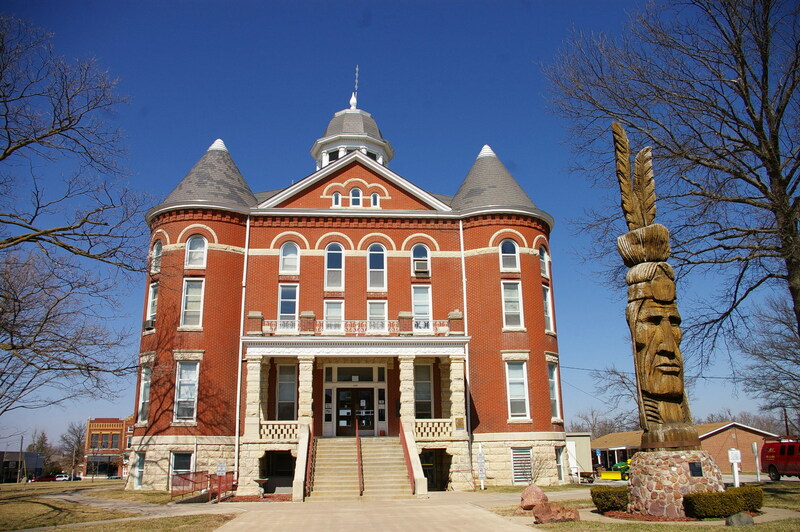 The building is located on the Courthouse Square with landscaped grounds. The south front has a porch supported by four limestone pillars with balcony above. On the corners of the building are round towers with conical roofs. 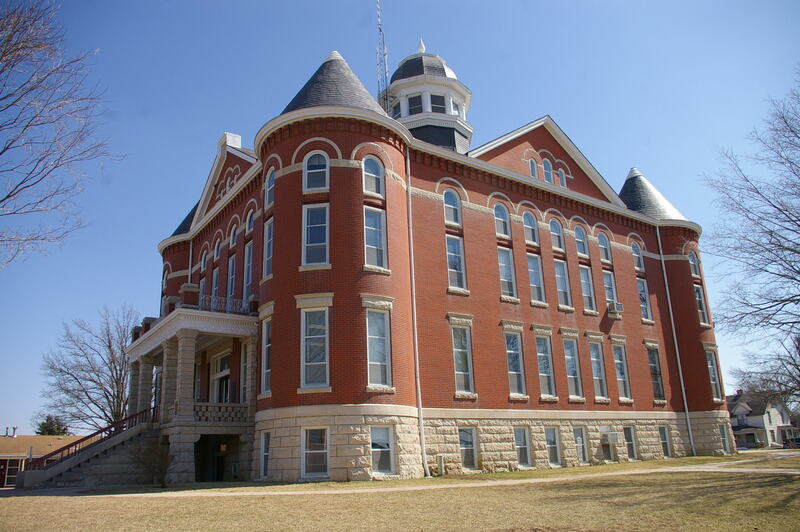 Between the towers is a peaked section with small windows on the fourth story. 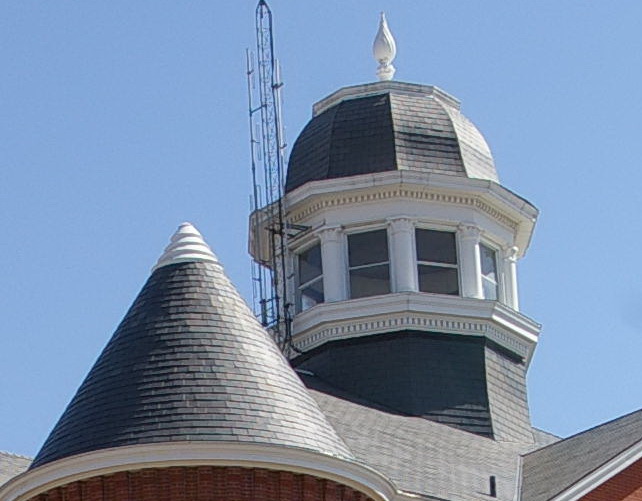 On the center of the roof is an octagonal dome with windows and domed roof. 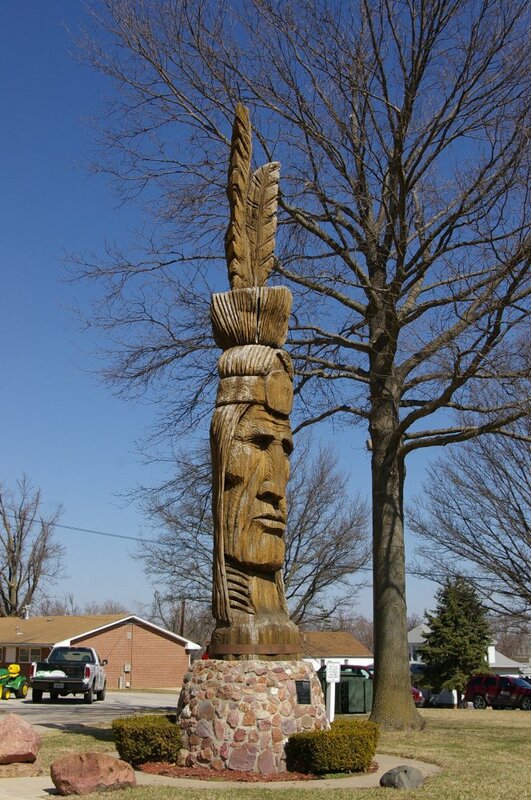 On the grounds is a 35 foot Indian burr oak sculpture by Peter Toth. 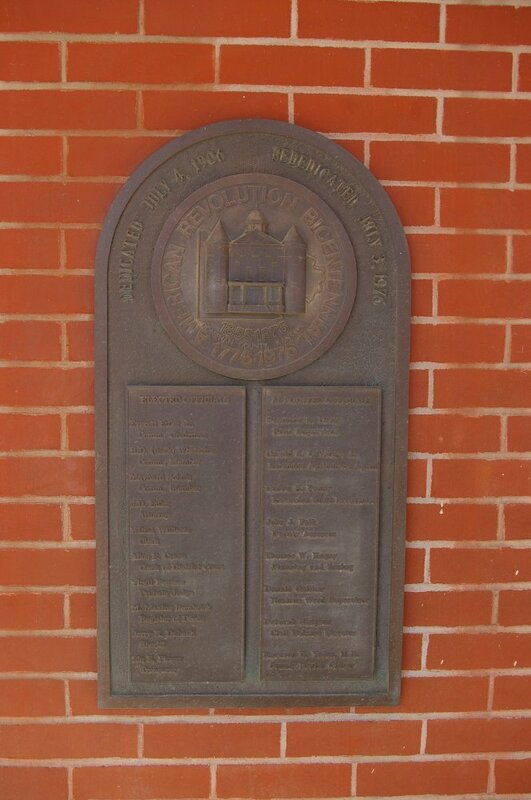 Note: The courthouse constructed in 1867 to 1868 by J J Johnson and Edward Straughn, was razed in 1905 to permit construction of the present courthouse. 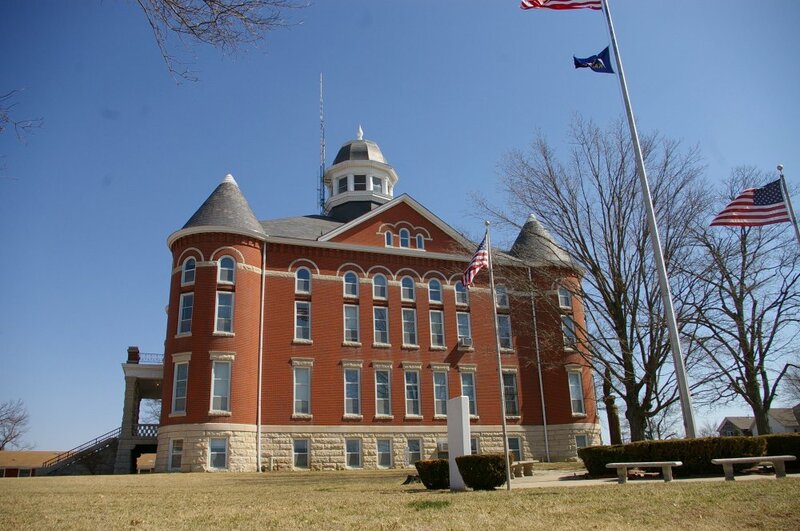 The cost of construction of the courthouse was $39,950. Note: The architect, George P Washburn & Sons, designed courthouses in Anderson County, Atchison County, Bulter County, Chautaugua County, Franklin County, Harper County, Kingman County, Miami County, Pratt County and Woodson County, and Beaver County in Oklahoma.